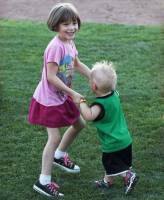 Drop-in with little ones and get moving! Come ready to shake, shimmy and dance with your friends! Dancing is a great way for parents and children to bond and burn a little energy at the same time. No registration required. Held in the lower level program room.